Our War Skirts are made from top quality 7/8 ounce leather, making them very sturdy. 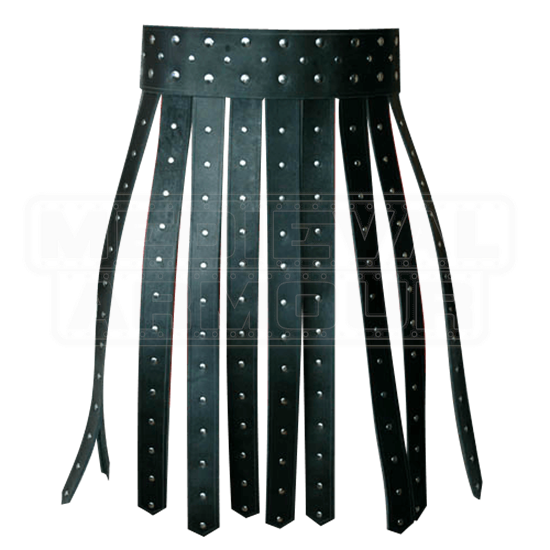 It is a 3 inch studded waist belt with 1.5 inch studded straps hanging all the way around the belt. The belt closes by two straps and buckles on the back. 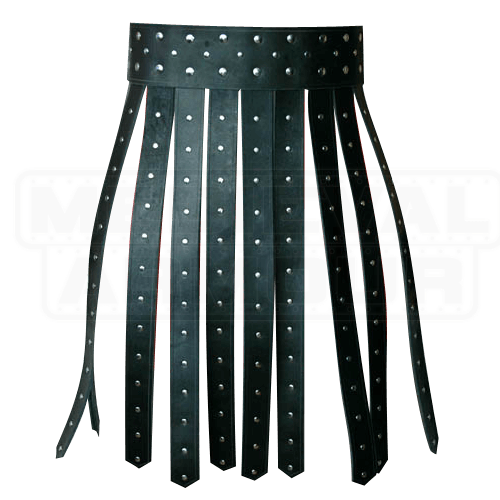 These war skirts are available in black or brown with your choice of hardware, steel or brass. They have an average length of about 22.75 inches. They are a great addition to any Roman or gladiator outfit. Please order by your waist size.